Dino Danger is Adventure Park's fastest-ever rollercoaster. In fact, it's so fast that it sends Emily, Jacob and Frank spinning back in time! Can they escape the hungry dinosaurs and find a way home? 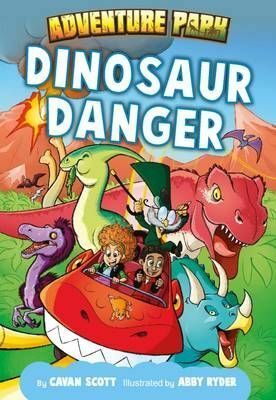 Dinosaur DangerAdventure Park by Cavan ScottDino Danger is Adventure Park's fastest-ever rollercoaster. In fact, it's so fast that it sends Emily, Jacob and Frank spinning back in time! Can they escape the hungry dinosaurs and find a way home?